There are some things that are pretty much guaranteed to a part of the celebrations at Christmas. Good Food, presents and family are among the top mentioned when people talk about what they look forward to. But there are 3 Promises of Christmas that are often forgotten or overlooked. We often hear or use the phrase, “Jesus is the Reason for the Season”, but what does that mean? So many important things are missed in the simplicity of this statement. There are 3 forgotten promises of Christmas that are important to our true connection with Christ. The little babe in the manger carried promises from God and we miss or forget about them. Because the season is often full of shopping and gatherings, we often forget to look for the promises of Christmas. As you try to make Christmas a joyous time for friends and family, do not forget to look for these 3 forgotten promises of Christmas. To find other ways to celebrate Christmas read our article, 3 Ways to Keep Christ in Christmas. 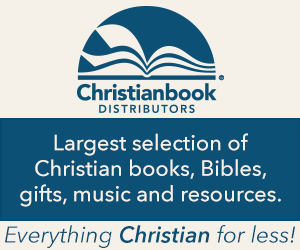 Also, check out the Christmas Gifts and more page at Christianbook.com.